As most of you know, I just got engaged a few months back and right now, I'm always on a lookout for the perfect bridal look. Although my reception won't be too soon! But hey, it won't hurt to look around right? 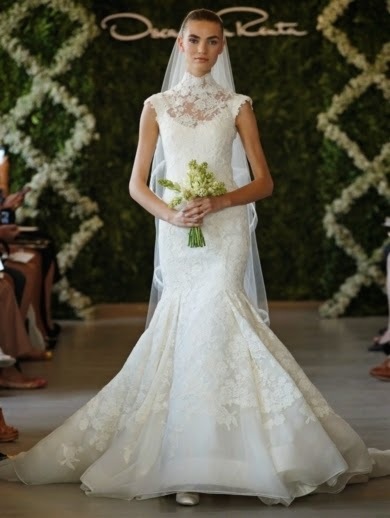 I was inspired by Loverly to write a post on bridal looks for 3 different dresses. So I created my own version of makeup looks to match the dresses. Loverly was launched in 2012 to assist brides-to-be/bridesmaids in the wedding planning process. You can find the latest wedding trends, save and share your favourite images and even find vendors! You can save some time! I think this dress is amazing with the lace details and mermaid bottom. You don't want too much makeup on your face that will overshadow the beauty of the dress. So what I will suggest is, a classic cat-eye with bold, red lips. Just perfect. This is a simple, tube dress with a big, tulle skirt. 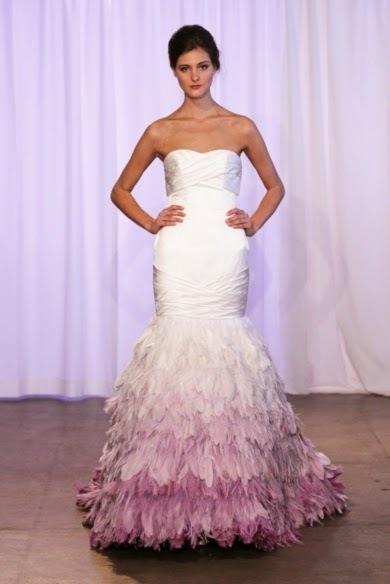 What you need to compliment this lovely wedding dress is a little bit of shimmer and hot pink lips! In this look, I used a mix of orange and pink shimmer on the eyes with a light brown crease. On the lips is Sephora's Cream Lipstain in shade 06 Forever Fuschia. Can you just look at this Ombré dress? The amazing shades of purple and the way it fits to flatter your curves? Just wow! This dress will look complete with a neutral, pink makeup look. On this look, I focused more on the eyes and blended the shades of brown, pink and a little bit of white shadow together. I want to look a polished version of myself instead of another person, altogether. Nothing is too much in this look! On the lips is Gerard Cosmetics in shade 1995. Let me know if you would like me to create any tutorial for any of these looks in the comment below!! 7 comments on "Bridal Looks with Loverly"
Sure! Will work on it soon! Hi this is not about bridal looks, but could you please kindly share what make-up brands (foundation and powder) do you use? And could you also share what brands (drug-store or/and high-end) are good for yellow (a bit tanned) skin? Planning for a wedding seems easy but it is quite difficult to find the right venues. The manager at this place for Las Vegas Weddings was so wonderful, personable, and responsive. We received the best possible service on our wedding day.